As upsetting as the idea of a business falling apart might be, sometimes it is the only way out. The reasons for such an incident to take place can be an internal dispute, irrecoverable losses, or disrepute in the market. In any or all of the above cases, the only move left for the company is business dissolution. We, at Biz Value LTD, bring to you a service which not only assists you with the dissolution but also navigates you through the legalities of the whole matter. If you are looking for such a company in New York City, then we are the team to rely on. Our employees are thorough-bred professionals who take it upon themselves to simplify the procedures and steps involved. They understand well how stressful it can be to go through the closure of the company and the litigation processes involved, thereby using their skills to speed up the work that needs to be done. Here, we have given a few reasons to hire a company that will take care of the course of action in the face of dissolution. Take a look. Handling the closure of a company can be a formidable task. It can take the focus away from the personal and professional lives of the individuals involved. Hiring a company to handle this can be a relaxing and mentally rewarding step to take. Since the employees of these firms are trained to deal with companies that are falling apart, they have the expertise to deliver their work without any hassles. Often, individuals who are involved in the dissolution of a company do not know how to go about it. This results in exorbitant expenditures which, of course, they have to bear on their own. Hiring a company that deals with such matters will save costs by reducing red-tapism and unnecessary legal charges. So, if a situation has come before you where you feel that you need to hire such a service, contact us as soon as possible for effective results. Is your business experiencing any suspicious activity? Are you suspecting any sort of financial discrepancy in your business? Or are you battling a lawsuit against your business? Whatever be the case, you need to ensure that the risk of a large-scale fraud is minimized or you can investigate the criminal activities in your commercial space, you must opt for forensic accounting services. 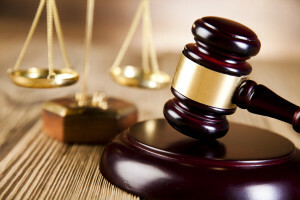 This is a special practice in the area of accountancy dealing with engagements as a consequence of the litigation or the actual or the anticipated disputes. It should be in accordance with the court of law. We, at Biz Value LTD., are the right choice for you. We are an experienced and reputable organization which can provide forensic accounting, litigation support, and business evaluation services. We understand the importance of forensic accounting and ensure that you get a credible support from our end. So, if you are from areas in and around Nassau County NY, New York City, New York County NY, Raleigh NC, or Suffolk County NY, you can resort to us without any hesitation. Here, we have put together a few major things to look for while hiring a forensic accounting service. Take a look. These financial or accounting related services are very sensitive and complex. In order to carry it out effectively, you need a considerable level of experience. So, make sure you hire a company which holds years of experience in this regard. Next, you need to make sure the company you are hiring has a good standing in the market. You have to ensure that you check the client feedback and ratings to be know if you can rely on them. Lastly, you must check if the company you are hiring for this job has an experienced, credible, and qualified team to carry out the forensic accounting. They should be able to provide a speedy service in an accurate manner. So, without any further delay, if you are looking for such a service and want to hire us, get in touch with us today. When we begin a business, we do so with a lot of passion, effort, and hard work. We try our best to take it to the heights of success we always imagined it to be. But in reality, the ultimate goals might not always be realized to it’s full potential and before, the final goals are achieved, the company has to be dissolved or the partnerships are broken, depending on the type of business you have. But the idea is to not be disheartened, consider it as a lesson, and learn from it like any other life experience. You have to deal with it objectively and do the needful. One of the first steps that you need to take while battling a business divorce is to get your business evaluated. You should hire a company like us, at Biz Value Ltd. for a credible and accurate financial analysis in both valuation as well as forensic accounting. We are a litigation support service, forensic accounting, and business appraisal consultancy firm which has substantial experience in the middle-aged business. So, if you are from areas such as Nassau County NY, New York City, New York County NY, Raleigh NC, or Suffolk County NY, you can rely on us. Here, we have enlisted a few signs of a business divorce for which you might have to resort to a business valuation service. Take a look. Has it been a long while that you are failing at your target profits? Then, it might be a sign that your business is not working out and all the investors or partners might no longer be interested in continuing this business. Does all your business meetings with the partners end in a violent disagreement? Do you realize that your thoughts and views no longer match your partners? Then, you better split the business because you cannot carry out like this. If you can relate to these signs and are looking to evaluate the business, get in touch with us soon. If you run a business, you are expected to be aware of the marketing strategies, the new kinds of developments that can be brought into the company for its future growth, or know how to increase the revenue by increasing the output and so on. But there is something that else that also needs to be kept in mind while running a business. And if it is a partnership business, then you will also have to learn how to cooperate with your business partners and keep your shareholders happy. Sometimes, this is where a business becomes lacking and there can be an unwanted shareholder dispute. If you are also experiencing some kind of a dispute in this regard, then you might need a business valuation. We, at Biz Value LTD, can help. 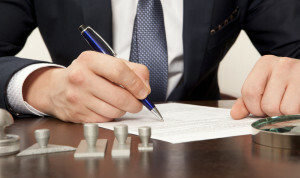 We have highly experienced, knowledgeable, and reputed individuals who can help you evaluate your business if an appraisal is required when a shareholder might want to quit or shows interest in being a part of the business. So, if you belong to areas like Nassau County NY, New York City, New York County NY, Raleigh NC, you can rely on us. Here, we have put together a few questions to ask a company carrying out your business valuation. Take a look. Business valuation is not an easy task. You need to make sure that the company has been running for a long time and has catered to such cases in the past. So, you must ask them about their prior experience before hiring. What sort of methods do you use to evaluate the business? A business valuation should be realistic, honest, and cover all the standards of the industry you are in. Make sure the company you are hiring to do this understands this and provides you with a service accordingly. How much do you charge for the service rendered? You need to make sure that the company you are hiring demands a fee which is feasible for your budget. So, you must make sure that you ask about the charges in advance. So, if after asking such questions, you are interested in our services, get in touch with us now. Do you run a business but have to, unfortunately, close it down? There are several issues which can affect your business. 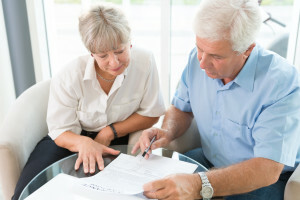 Low profits, bankruptcy, or partnership disputes can be some of the common reasons which lead to corporate dissolution. But when a business gets dissolved, it is crucial to carry out its business valuation. This will help resolve the share of the partners, sell your business, and smoothly process the acquisition or mergers, and other factors. We, at Biz Value LTD, can be the right choice for this purpose. We can effectively valuate your business with our modern approach and high professional standards. We have experienced professionals with the right credibility and in-depth knowledge. So, if you are located in areas like Nassau County NY, New York City, New York County NY, or Raleigh NC, you can resort to us without any hesitation. Here, we have put together a few things to check about your business valuation. Take a look. You should always make sure that the valuation of the business is realistic. It should honestly reflect your financials as well as future growth. In order to get an idea of the ideal situation or how it should be, you should find other companies which are similar to yours in its level, the type of industry, and its revenue. In order to reach an accurate valuation, you need to make sure that you take into account your intangible assets too. The strength of employees, the market potential or the intellectual property rights, and other such things should also be included in your business valuation. When you are evaluating a business, you have to consider the present stage of the business and its risks and uncertainties should also be clearly projected. This helps your investors or future owners to understand the situation of the company. So, if you think we can present the business valuation in the right manner possible, then quickly call us at (631) 754-3779. When did you go for an assessment of your business’ value last? Ideally, you should at least get three evaluations done in a span of 12 months. A business valuation is essential for a number of reasons which will overall contribute towards the growth of the company. We, at Biz Value Ltd., are one of the most experienced and reputed organizations which can offer both business valuation and forensic accounting for their esteemed clients. We have an efficient and highly dedicated team which can strive their best to fetch you the best results. So, if you are from areas like Nassau County NY, New York City, New York County NY, Raleigh NC, or Suffolk County NY, you can reach out to us. Here, we have put together a few of the fruitful ways in which getting your business evaluated from time to time can benefit you. Take a look. This will help you get a more accurate understanding of the company assets. When it comes to your business, you will not be able to trust the estimates as these are mere generalizations and not absolute. And without accurate figures, you will not be able to take the crucial business decisions like how much to reinvest into the company or the sort of insurance coverage to opt for, and so on. If you are planning to sell your company, then knowing the true value of your company is of utmost importance. And you should start the process even before putting the company up for sale in the open market. This is because it will grant you with the opportunity to increase the company’s value for achieving its sale at an even greater selling price. So, if you think that we can be a good choice for you, then quickly get in touch with us today. Are you involved in a business? Then, you should be aware of the kind of complications you are likely to face involving your business. Nothing in this world comes with a guarantee so you never know what you will have to face. Sometimes, you have no other option left and you are forced to let go of your business and you have to dissolve it. It is unfortunate but you must comply with the regulations and the standard protocols. We, at BizValue Ltd, can help you with corporate dissolution. We are a reputed and experienced business valuation and forensic accounting company. We meet all the requisite professional levels in the industry by bringing together advanced methodology, expertise, credible resources, and a high level of accuracy. So, if you are dissolving your business in areas likeNassau County NY, New York City, New York County NY, Raleigh NC, Suffolk County NY, you can resort to us for guidance and advice. If you are considering a business dissolution for the first time in life, then you might have a few queries. Here, we have put together a few of them. Take a look. When should I consider a business dissolution? If you are making more losses than profits or are on the verge of bankruptcy, then you should dissolve the business. Sometimes, there are disputes among the various business owners if it is a partnership firm. If the ideologies or business goals no longer match among the partners, then also a company is likely to get dissolved. Why do I need professional help for business dissolution? A business dissolution is a complicated process. You will not understand most of the detailed intricacies of the procedure. Moreover, shareholders might have different bargaining stances or might not have the resources for effectuating a buyout on their own. If you hire professionals, you will not just get expert advice in this regard but can also help in leveling the playing field in accordance with the fair value statutes of the state or the business corporation law. So, quickly call us at (631) 754-3779 now if all your queries have been met and you are interested in hiring us. If you are running a business but you own less than half of the company, it means you are a minority shareholder. So, if there is a dispute over the distribution of assets, a disagreement over a decision where majority votes are essential, you are likely to lack the voting strength. Therefore, it is crucial to protect your rights as an individual shareholder who is a minority. Otherwise, you will not be getting your deserved share from the investment you made. We, at BizValue Ltd, can help you from a wide variety of issues including shareholder oppression and disputes, business valuation, forensic valuation, fair value standard, business appraisal, FMV fair value, business divorce, and so on. We can provide you with credible and accurate analysis in terms of your finances for both forensic accounting as well as valuations. Owing to our combination of highly advanced methodology of business valuation, industry experts, forensic accounting, and other professionals. We have created a huge resource that is famous for their credibility, efficiency, and client service. So, if you are from areas like Nassau County NY, New York City, New York County NY, Raleigh NC, or Suffolk County NY, then you can resort to us without any hesitation. Here, we have put together a few things that every minority shareholder should do in order to protect themselves. Take a look. If you hire the directors, then you will be able to protect the business interests of the company as they will take all the decisions in favor of your interests and rights as a company. It also acts as an assurance that there is somebody who will understand your perspective too. A shutgun clause enables you with the right to purchase or sell the shares to any other shareholder if in case, you cannot resolve an issue between the shareholders And if you are opting for this option, then you must not set the price but make sure that, in particular, all the shades are available at fair value. So, if you are interested in hiring us, then quickly call us at (917) 450-0828 now. 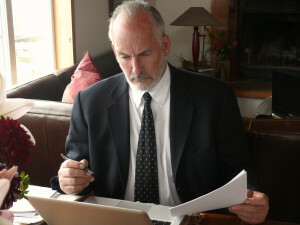 The specialized practice of accounting describing the several engagements resulting from an actual or an anticipated dispute or litigation is commonly referred to as forensic accounting. The word ‘forensic’ actually indicates, “suitable for use in the court of law”. All the forensic accountant must work in accordance to this standard and possible outcome. Most of the businesses, small and big alike, along with various government organizations and agencies hold such specialist forensic accounting departments. If you need assistance regarding forensic accounting services, then BizValue ltd, can be the right choice for you. Also known for providing a plethora of services including business valuation, shareholder litigation, business appraisal, business divorce, corporate dissolution, and so, we are one of the most experienced and credible companies showcasing utmost efficiency and accuracy in the market. We have an advanced approach and value the rights and interests of our customers, trying our best to upgrade them at all times. With respect to forensic accounting too, we have the in-depth knowledge and resources which enables you to enjoy the greatest professional standards along with maximum value in areas like Nassau County NY, New York City, New York County NY, Raleigh NC, and Suffolk County NY. Here, we have put together a few reasons why you should choose our forensic accounting services. Take a look. 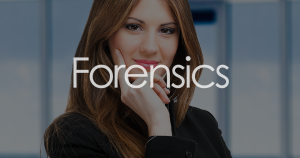 Our forensic accounting services cover a wide variety of topics including- Money laundering, Economic damages calculations, Business Valuation, Post-acquisition disputes, bankruptcy litigation, reorganization, and insolvency, Tax Fraud Litigation, securities fraud litigation, and so on. This wide range of coverage is what makes our esteemed customers come back to us again and again. Another reason why you should opt for our professionals for forensic accountancy or financial forensics is due to the expertise of the forensic accountants. Our accountants can assist you in assessing and commenting on the work of the other professionals, are engaged in family or marital law for the spousal support purposes, and can be responsible for determining the income available for child support or equitable distribution. So, if you are interested in hiring us, then contact us at the earliest today.